For twenty thousand miles, Peter Matthiessen crisscrossed the South American wilderness, traveling from the Amazonian rain forests to Machu Picchu high in the Andes, down to the edge of the world at Tierra del Fuego and back. In the course of his journey, he followed the trails of old explorers; encountered river bandits, wild tribesmen, and the evidence of ancient ruins; and discovered a fossilized snout of a giant unknown crocodilian hidden in the depths of the jungle on the wild mountain rivers of Peru. 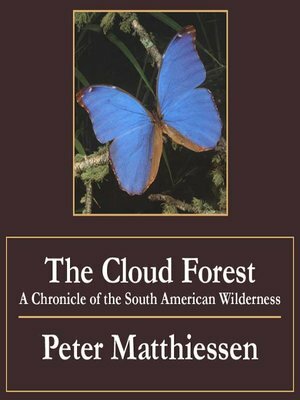 Filled with observations and descriptions of the people and the fading wildlife of this vast world to the south, The Cloud Forest is Matthiessen's incisive, wry report of his expedition into some of the last and most exotic wild terrains in the world.